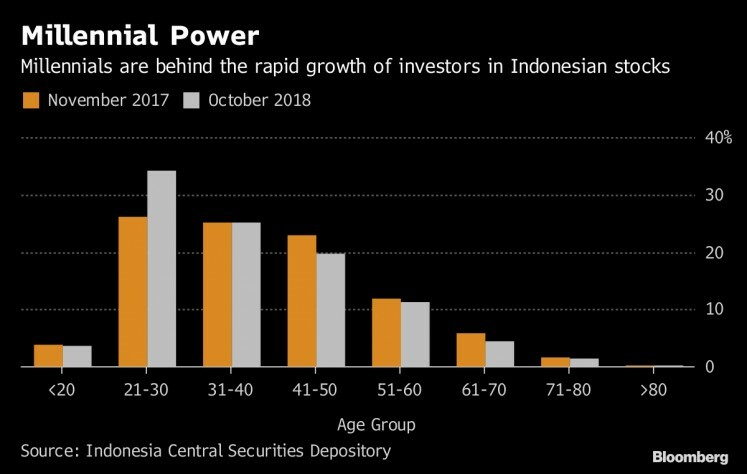 For the second year running, people aged between 21 and 30 are the biggest group of investors in Indonesian equities, data from the nation’s stock exchange show. 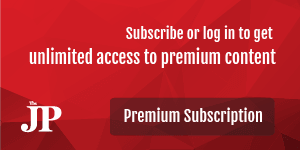 A campaign last year to hold contests and pop concerts on the trading floor of the bourse has helped boost the number of retail investors by 40 percent to more than 1.5 million participants since November 2017, according to the Central Securities Depository, an arm of the Indonesia Stock Exchange. People in their 20s represented more than 34 percent of all retail investors in October from 26 percent in November last year. The next largest group were 31- to 40-year-olds, making up a quarter of retail investors, while those in their 40s accounted for 23 percent. Still, participation of individual investors in Indonesia is among the lowest among Asian countries -- they made up 41 percent of total turnover on their exchange last year, compared with more than 80 percent in Taiwan and 59 percent in Thailand. Barely 1 percent of Indonesia’s 260 million people are registered as stock investors. 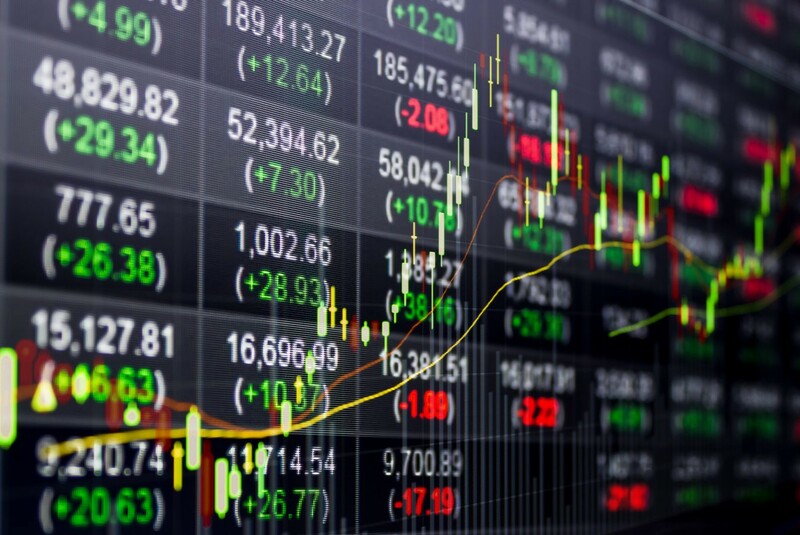 And although the latest statistics are positive news for Indonesian equities, offshore investors are set to post a record net outflow, reaching almost $3.3 billion this year, after $2.96 billion in withdrawals in 2017. The Jakarta Composite Index is down 6.1 percent since December, on track for its first annual decline in three years.